Gaming properties are hot stuff in Hollywood right now, but very rarely do they capture the imagination of audiences as well as their console counterparts did. Just look at the woeful Super Mario Bros. movie. Even the recent big-budget Prince of Persia flick failed to set the box office alight. 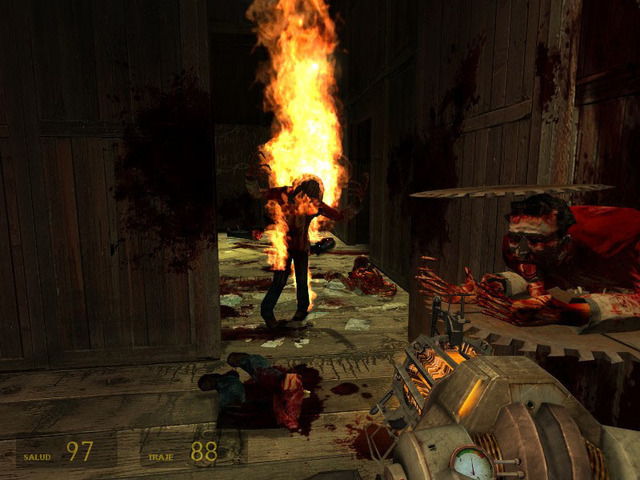 One property that’s had countless Hollywood rumours floating around it is Valve’s Half Life, the inter-dimensionary first person shooter often hailed as the finest game ever made. However, if Valve’s studio head Gabe Newell has anything to do with it, Hollywood will keep their hands off his baby, with the developers potentially making the movie themselves. Speaking to PC Gamer, Newell described meetings with a handful of movie executives: “There was a whole bunch of meetings with people from Hollywood. Directors down there wanted to make a Half Life movie and stuff…their stories were just so bad. I mean, brutally, the worst. It seems then that the recent Team Fortress 2 meet the team shorts could be a test-run for a more ambitious Half Life project. “We started saying ‘Wow, the best thing we could ever do is to just not do this as a movie or we’d have to make it ourselves.’…the Team Fortress 2 thing, the Meet The Team shorts, is us trying to explore that,” Newell teased. Is a Half life movie a good or bad idea? It’d be almost sacrilegious to gamers should it get the Uwe Boll treatment, but having a gaming film shot by its own developers sounds very intriguing. Let us know what you think in the comments below. I like to spend my free time by reading various internet resourses and today i came across your blog and I found it is as one of the best free resources available! Well done! Keep on this quality!